I teach ethics, and as I observe the words and actions of President Trump and his closest advisors I see a massive attack on facts, truth, reason, intellectualism, and with them, more importantly, on integrity and character. It is actually very disconcerting to see those in power attempting to re-write facts, history, and even their own statements and promises before our eyes, denying truth, subverting facts, and pretending that with the exception of what they say today, there is no truth. But then what can be expected from an administration that when contradicted calls the contractions lies, and those who insist on facts to be liars? It has insisted that alone of Federal Government employees that White House staffers don’t need to follow government ethics rules, and removes them from required ethics training. This goes to the heart of the problem with this administration, it does not care for truth and has long given up, if it ever had it. President Trump’s long history of not being an honest businessman, his numerous adulterous affairs during his marriages, and a list of people that he has cheated that runs into the hundreds with thousands of lawsuits against his business practices should have warned us that he would be the same man that he has always has been, and now he is in a position not only to continue to destroy any hint of his own integrity, but that nations as well, and many of his followers do not seem to give a damn. I couple of days ago I asked the question “how did we get here?” when I was discussing drumbeat of lies, which are now called alternate truth by the President and members of his administration. As the past few days have unfolded I have asked the question to myself a number of times as the statements continue, along with the admonitions from Steve Bannon, Sean Spicer, and Kellyanne Conway to “always believe” what is being said by the President and for the media and other critics to “shut up.” The media of course now is always lying so it goes, and sadly some journalists have added fuel to the flame by misreporting, that doesn’t mean that journalists or the press as a whole are lying, but it sets up straw men for the President and his advisors to attack. Opposition is considered treason, and opponents must be silenced because it is the patriotic thing to do. Likewise there is the silencing of Federal workers, and even agencies who simply report the truth, and the quashing of dissent by removing officials who may be troublesome later on. His foreign policy seems like it is going to be a go it alone, aggressive hyper-nationalism, forsaking longstanding and faithful allies to ally himself with the Russian dictator, and to threaten military action, trade wars, and to bring back torture. Yet, those are actions that in the long run are bound to destroy the United States, but there is no push back from the GOP majority in Congress. Then of course are the executive orders which are being issued daily. President Trump is doing exactly what he promised to do during the campaign when we were told not to take what he said literally. Before his inauguration the President said that he may issue 200 executive orders in his first month in office. Such is to rule by fiat, to bypass Congress, the Courts, and ultimately the people, yet it is entirely legal and at the same time if unchecked by the Congress or the Courts will lead to a totalitarian state. Yet the President’s supporters and the the vast majority of the Republican Congress say nothing and some are calling him brilliant. So I ask myself why? What is going on when people, people who are basically good, turn a blind eye to emerging tyranny. Why is it that otherwise decent, and even brilliant people will allow such things to happen, and even more, to wholeheartedly support the policies. I do not know what is going to happen, I still hope and pray that the President will do good things for the country and the world; but every word, and every action coming from him and his spokespeople serve to dampen any measure of hope that I have for this very young administration. Thankfully, there are people who are using legal means to resist and to speak out, but I wonder if that will be enough. I think that we have entered that era in our history. 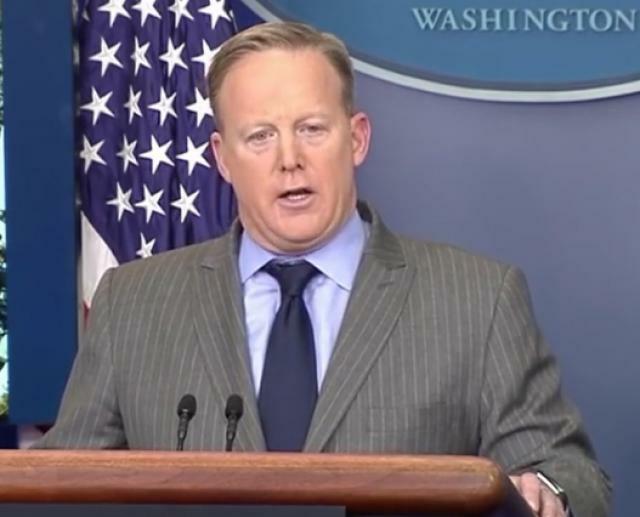 Press Secretary Sean Spicer’s embarrassing attack on those who disagreed with the President’s claim that the inauguration of President Trump had the highest attendance in history when every analysis of the crowds revealed to be far smaller than the last few inaugurations was defended by President Trump’s advisor Kellyanne Conway. Conway turned absolutely Orwellian to defend that and a number of other claims that were patently false. She called them Alternative Facts. Sadly, this has been the modus operandi of Mrs. Conway and the President’s spokespeople since the beginning of his campaign. Rather than admit to a falsehood they reinforce the lie, time after time. The behavior is extraordinary in the American experience but not in history. But such clarity cannot be found in what Mr. Spicer or Mrs. Conway said. 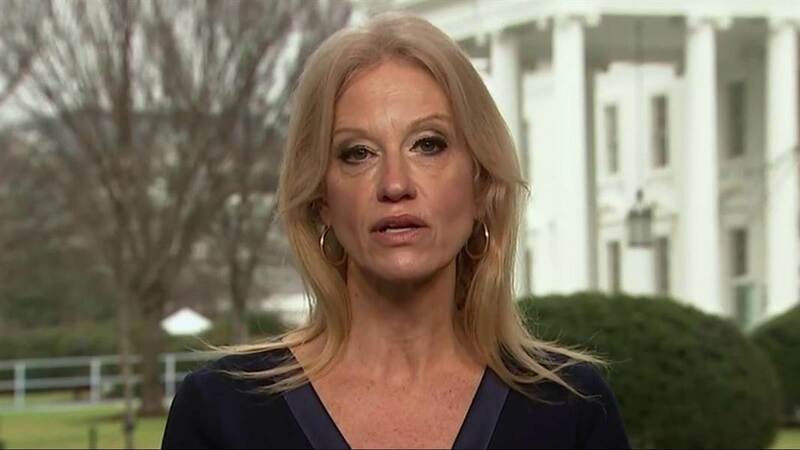 They repeated a lie and then Mrs. Conway called it an “alternative fact.” It was absolutely Orwellian, not that it matters to many of the President’s diehard supporters. He told us during the campaign: “You know what else they say about my people? The polls, they say I have the most loyal people. Did you ever see that? Where I could stand in the middle of Fifth Avenue and shoot somebody and I wouldn’t lose any voters, okay? It’s like incredible,” and he was absolutely correct. Hitler told his generals when he was about to stage a propaganda coup to blame Poland for starting the war, “I shall give a propagandist reason for starting the war – never believe if it is plausible or not. The victor will not be asked afterward if he told the truth…” It seems that from day one of his campaign the President has followed a similar course of action to first win the nomination of his party and then the general election. I don’t think that he can stop now that he is office. In his inaugural address the President noted: “America will start winning again, winning like never before.” Winning at all costs seems to be everything, and nothing will stand in the way, even facts. Sadly, this will not be the last of these kind of statements made by Mrs. Conway or Mr. Spicer. We have entered a new era, and while many people think that the Trump administration will sink itself, and that maybe the GOP will revolt, impeach him, and make Mike Pence the President, they are deluded. That will not be allowed to happen by Trump or his supporters. The stream of alternative facts are going to become so commonplace that people will stop noticing them, they will get numb to them. I am sorry, but when it comes to facts and truth, that is the kind of world we on entered on January 20th. Please note I am not saying that President Trump is a Nazi, or commit Nazi style atrocities. I am simply comparing the methods, and the language of his spokespeople to the Goebbels propaganda machine, and I am also calling to mind the words of our founders on the danger of demagogues. Honestly, I hope that our President governs wisely and gains a sense of humility as he holds in his hands such great power. I want him to succeed for all of us, but this opening weekend has given me much cause for concern and this has less to do with policy than it does the deceptive words that I see coming from those who shape his message. I know that is a hell of a way to start the week, but this does matter.